New Toys R Us Legacy Toy Listings & Descriptions! As always the incredible Raz has succeeded in digging up information on some upcoming Power Rangers Legacy releases from Toys R Us. A few days ago he let us know about this preliminary information and today we have some confirmation on what some of these items will be. The previously seen Black & Gold Megazord was just revealed this past weekend at New York Toy Fair so we knew what to expect there, and thanks to Raz’s descriptions of the Dino Charge Multi-Packs we have some insight into those as well. Likewise it’s fairly obvious that the Megaforce Dragon Sword & Samurai Mega Blade appear to be some sort of special reissues of these toys from their individual lines. However today brings confirmation on what exactly the Legacy Mighty Morphin Vehicle sets are. 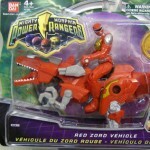 They have indeed been confirmed to be reissues of the Zord Vehicle Rangers from the Mighty Morphin 2010 relaunch toy line. Based on the actual images Raz himself has seen and what these previous releases looked like we can now confirm the Legacy Vehicles will indeed be rehashes of these items. No confirmation on paint, or plastic vs diecast differences of any kind yet. When the going gets tough, the tough shout out “GO GO MEGAFORCE!”, and they never, NEVER let go of their weapons! 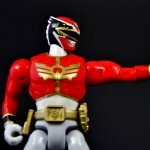 TokuNation.com is back with another gallery and review of the Power Rangers Super Megaforce 5″ Figures, and this time it’s none other than the current leader of the team, the Megaforce Red Ranger with thanks to Fury Diamond from RangerCrew for hooking me up with this figure. 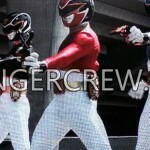 This is the first time the Megaforce Red Ranger has been released in 5″ size but how does the figure hold up? Does the detailing on the molding of the accessories continue to shine as seen in previous galleries? Click here to see the gallery and review!. And don’t forget to check out our previous galleries and reviews from this line – the MMPR Green Ranger and Zeo Red Ranger combined gallery/review, as well as the Lightspeed Rescue Red Ranger gallery and review! And stay tuned for two more galleries coming very soon – and a special gallery of the Titanium Ranger and celebrating his toy releases throughout the years! 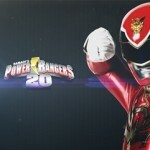 Could you possibly handle more Power Rangers Super Megaforce Galleries? We thought so! Today we’ve scored the Deluxe Gosei Great Zord Armor Ranger set! 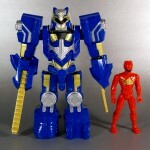 This quirky set features an exo-suit armor for 4″ Ranger figures to wear. The suit itself is based on the Gosei Great Megazord featuring the same visor as the megaforce rangers though it has a color scheme that seems to borrow more from Gojyujin/Q-Rex Megazord. As with any Zord Builder set this one can combine in any number of ways with the Legendary Megazord or other Legendary Zords/Vehicles. 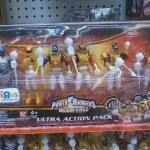 It also happens to have a molded in Ranger Key for it’s left arm! This key is compatible with all of Ranger Key activated gimmicks including the the Legendary Morpher’s! 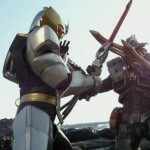 To check out our full gallery click “Discuss on the TokuNation Forums” at the bottom of this post. Go Go Megaforce!